Lyric Street Records has signed Texas Music stalwart Kevin Fowler to its artist roster. 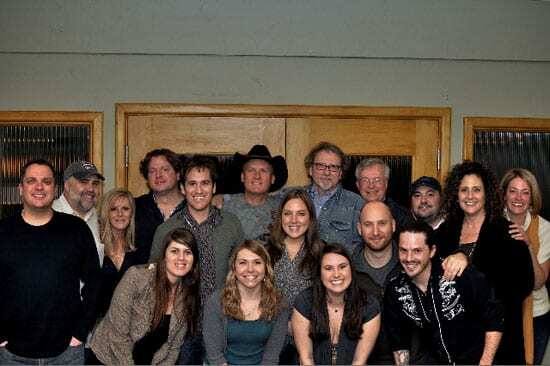 The label, along with Fowler’s management company, Triple 8 Management, celebrated the signing this past weekend in Waco, Texas prior to Fowler’s performance at The Heart of Texas Complex. A native of Amarillo, Texas, Fowler is already well known in his home territory for such songs as “Beer Season” and “Best Mistake I Ever Made.” His songwriting credits include Montgomery Gentry’s “Long Line Of Losers” and George Jones’ “Beer, Bait And Ammo.” With a well-established fanbase in the Southwest, Fowler has sold more than 325,000 albums, and, in 2009 alone, over 180,000 hard tickets as a headlining act. Fowler’s first music on Lyric Street Records is expected this Spring.